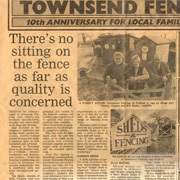 Bill Notley started Townsend Fencing soon after moving into the small holding, then quickly needed the help of 1 employee. 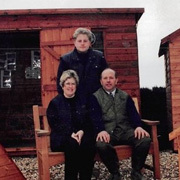 He says, “Our first job was in nearby Okeford Fitzpaine, where we had to carry all tools and materials on our backs to the site 150 yards up a rather steep hill!” Angela, his wife, took the reins on the office work in the farmhouse kitchen. Simon, Bill’s son, left grammar school and joined Bill as a labourer. 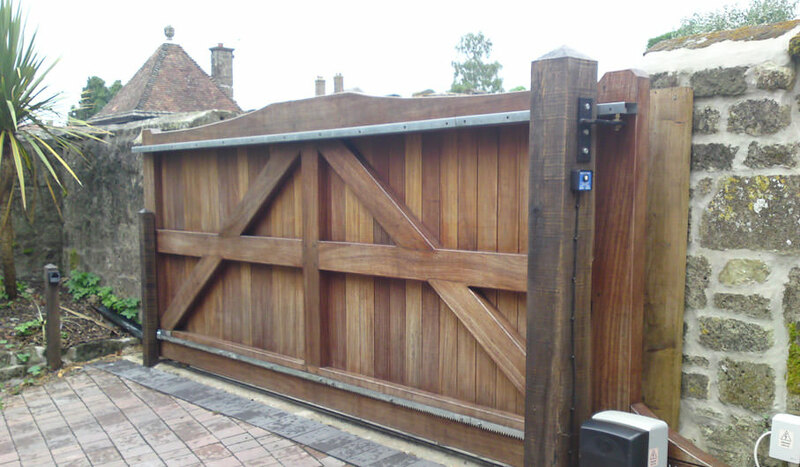 Simon quickly taught himself solid carpentry skills, as he developed into the the new role designing and making fencing, gates and sheds. 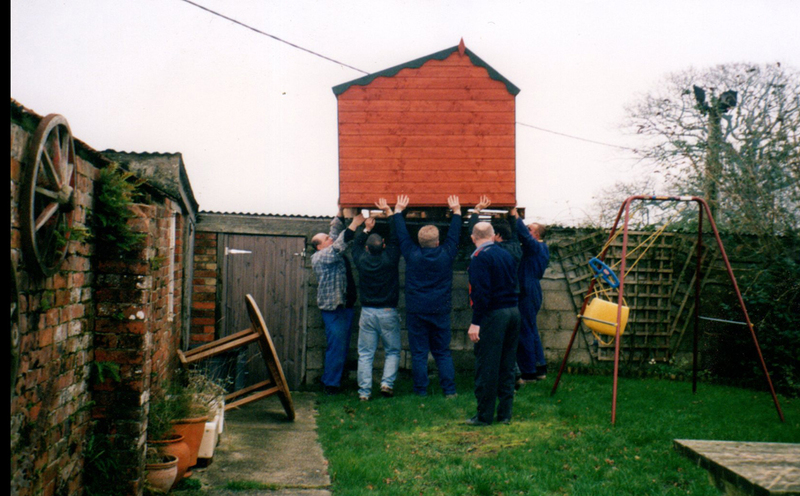 Together Simon and Bill started to expand the business and even had an ‘office’ in the yard [actually an 8’x6′ shed] complete with telephone! Simon married Lisa and moved into the family home at Townsend Farm. Bill and Angela moved to a new home locally from where Bill continued his role within the company but Angela now started to reduce her involvement in the day to day tasks. Townsend’s 10 year anniversary. 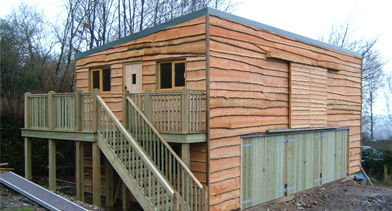 New larger offices to cope with the expanding business were constructed in the old Farmyard at Townsend. 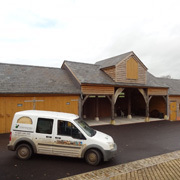 Si moves from the workshop and into the offices full time and from the humble beginnings, Townsend’s product range is now evolving into Oak Framed Buildings. Please don’t be alarmed at the image, taken before safety was one’s first thought, this is the boss during his weekend off! Townsend employs its first Workshop Manager to aid the smooth flow of orders through production to installation. 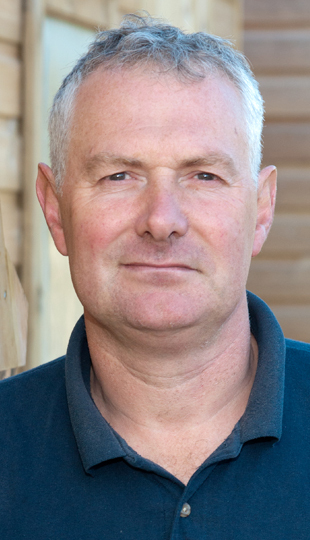 With increasing market demand Simon begins to design new house build spec ‘Stick-Framed’ Buildings and more detailed Oak Framed Buildings and extra skilled carpenters join he team. Collette joins as office secretary and Bill moves to a full time Surveying role whilst employing more tradesmen for the fencing teams. 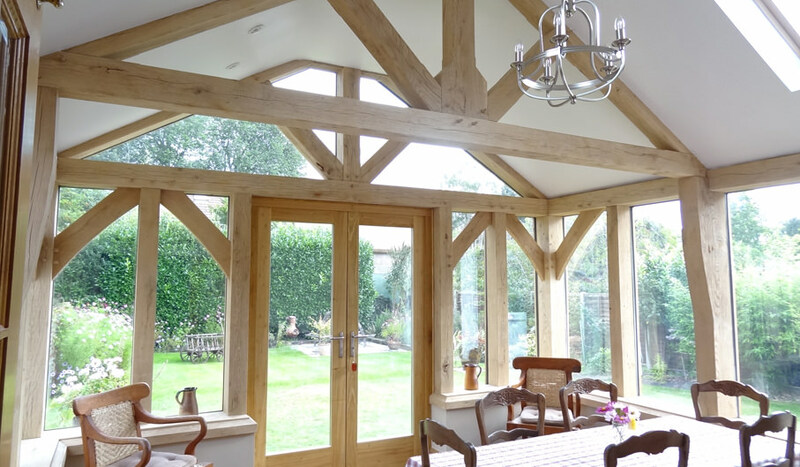 With the continued growth of the business, Simon sees extra demand for Townsend Oak Framed Buildings, and the need to offer a full build service whilst also designing new ranges. Internal training to develop existing carpenters into skilled Framers takes place and more tradesmen are taken on. 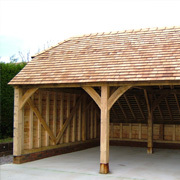 Many Oak Framed Garages follow and a “turnkey” service is developed utilising many of the staff’s existing skills base for building and roofing. 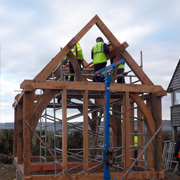 Townsend’s first major Oak Framed development with a 2 storey “cottage” is undertaken. Townsend takes on its first Apprentice. 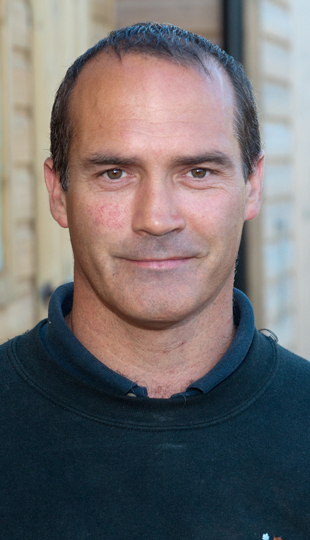 Russell Cutler moves from his role as Carpenter to Operations Manager, where his knowledge of the manufacturing side is a massive benefit and the company steams ahead. 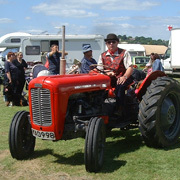 Bill eventually “hangs up his hammer”, taking a well earned retirement to spend more time polishing his vintage tractors . 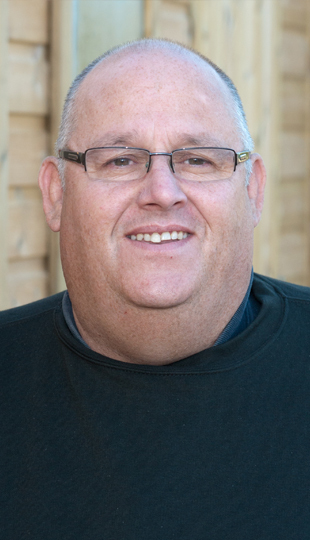 Mike Beaumont joins as the new Surveyor. 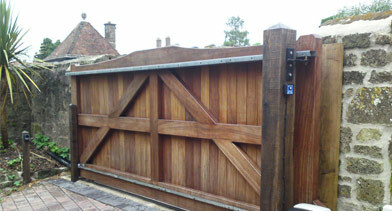 His role begins to evolve towards more bespoke buildings whilst continuing with fencing and gates. 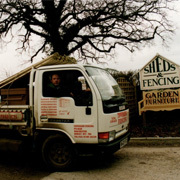 Townsend Timber celebrates 30 years of trading and over that time has seen its business evolve from fencing and gate erection to include beautiful bespoke Oak Framed Buildings and timber framed construction with its largest workforce to date. 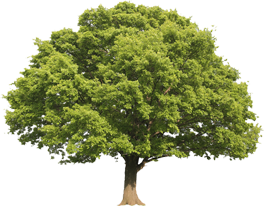 Townsend Timber recognise that businesses can have a negative impact on the environment. We are committed to find ways in which we can reduce the impact of our work in the office, production areas and on site. We're proud of our team. Find out a little about each member here. 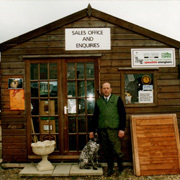 Simon has been involved in the family business since the beginning. He says, “You may find me in the office or out with clients. Ask me about anything and everything.” For Simon, the best part of the business is working with a great team. When he’s not at work, Simon likes watching rugby or fly fishing. As a bit of a bus man’s holiday, he also enjoys visiting ancient timber buildings. 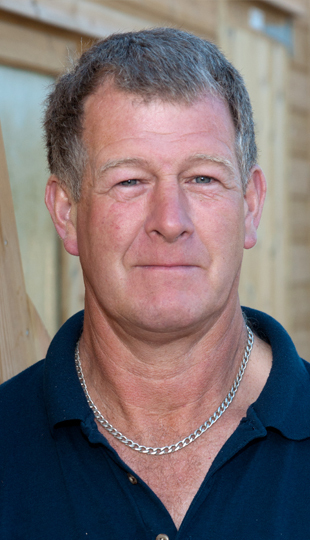 Mike has been working for Townend Timber since 2014. 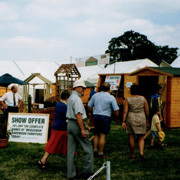 Mike’s role covers many products including oak framed garages, fencing, gates, timber workshops and pergolas. 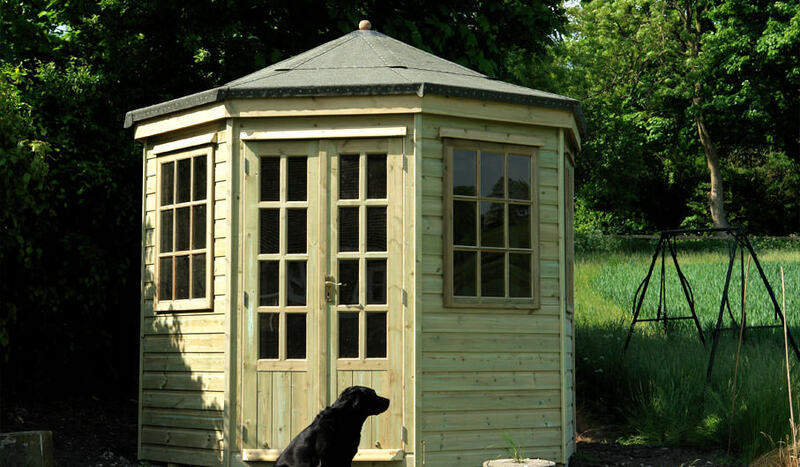 He says, ‘I love creating bespoke buildings and garden features’. When he’s not at work, Mike is enjoys spending time doing technical drawing or on the computer. 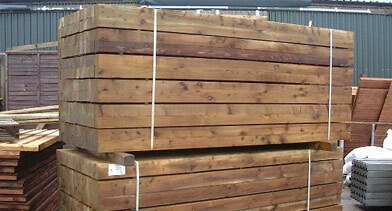 Russell has been working for Townsend Timber since 2006. When Russell’s not at work he has his hands full as a father of four. When Collette is not at work, she spends much of her time driving ‘Mum’s taxi’ for her son. In her little spare time she likes knitting and sewing, baking, and meeting friends at jive nights. After all that, she likes to sit down with a cuppa! 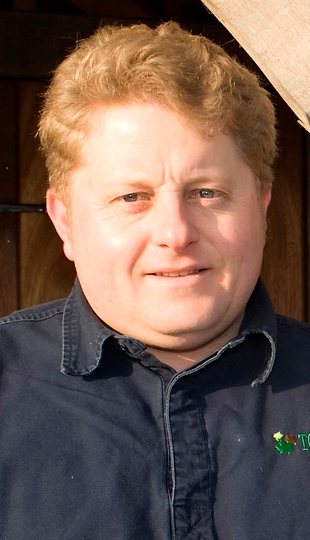 Dave has been with Townsend Timber since 2002. When Dave’s not at work he’s home on the farm seeing to his sheep, and in his spare time he enjoys fishing. 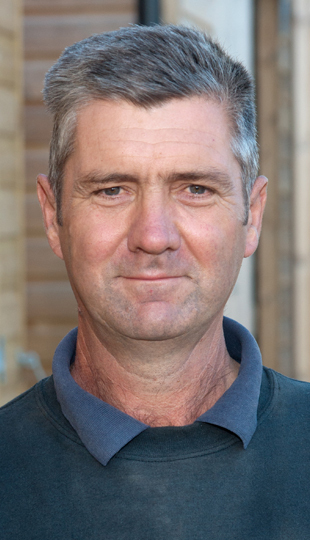 Will has been with Townsend Timber since the beginning of 2013. Will says you can ask him “Anything about frame manufacturing” as you’ll usually find him as a member of the site team for the frame installation, his favourite part of the job! When Will’s not at work he spends his free time walking and visiting places of interest as well as having meals out and listening to music. When Bryan’s not at work he enjoys spending time working on his own garden or going caravanning. When Adam’s not at work he likes playing golf, or going to the cinema with friends. 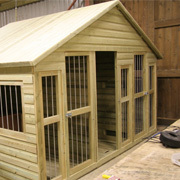 Rob loves the framing side of the work but sometimes will be involved in making your bespoke shed. As a devoted family man Rob spends lots of time either with his daughters at dance classes or on the football pitch with his boys. For himself he loves mountain bike trail riding with his friends. Jon joined Townsend in 2014. When Jon’s not at work he likes fishing and football. Out of work, Tom is an all-round family man and loves spending time with his partner and little boy. Dan is one of the newest members of the Townsend team, having joined in October 2015. Dan can be found in the workshops and out on site helping to install what his team have made. 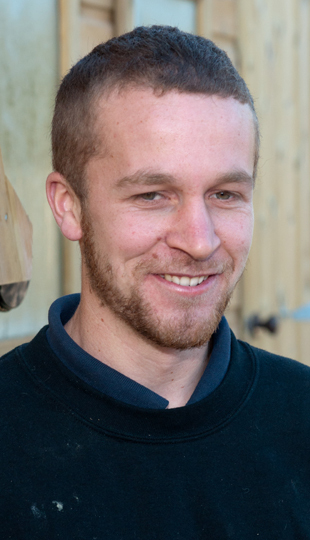 You can ask Dan “about Groundworks and Sheds!” A favourite part of his job is taking on something new. When not working Dan is a family man who loves spending time with his kids but also is involved in his local Community Project to provide child and adult friendly “free-time zones” in his village’s green recreational area. 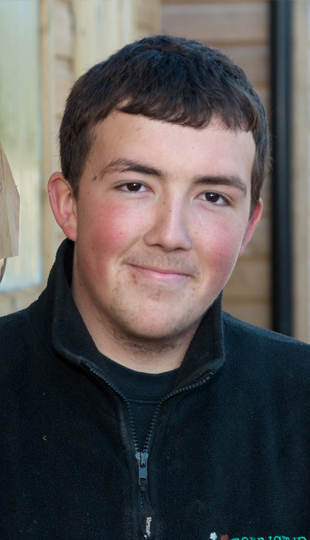 Jack has been working for Townsend Timber since the start of his apprenticeship in 2013. When Jack’s not at work he likes meeting friends, driving and parties.